Jim’s practice will provide attorneys and their clients with expert legal research, advice, and opinions. He will also provide representation in agency proceedings involving the Department of Homeland Security (DHS) and the Department of Justice (DOJ). He will focus on immigration law and procedure applicable to inspection of arriving foreign nationals; processing of removable/deportable foreign nationals in removal proceedings; relief from removal available to removable aliens; and immigration consequences of criminal convictions of foreign nationals. He will take particular interest in ensuring that the DHS and the DOJ correctly apply recent significant law developments that relate to issues involving criminal convictions as grounds of inadmissibility/removability. He will also represent employers subject to worksite enforcement proceedings. 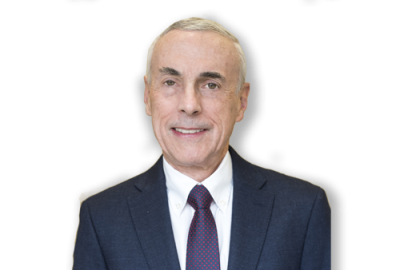 With over 40 years of practicing immigration law, Jim has provided extensive counsel to attorneys and judges on issues raised in federal court civil and criminal litigation involving immigration law. For many years, he was a part-time Special Assistant U.S. Attorney (Civil) for the Western and Northern Districts of New York. In addition to serving as the Buffalo Chief Counsel for DHS from 2003-2012, he was Buffalo District Counsel for the former U.S. Immigration and Naturalization Service (INS) from 1981-2003, and a Trial Attorney for the INS from 1976-1981. He also taught immigration law at the Federal Law Enforcement Training Center. Jim brings a vast wealth of knowledge on the effects of criminal convictions on immigration status. He has shared that knowledge with numerous attorneys requesting his legal advice in prospective/pending administrative and judicial proceedings. He also participated on Erie County Bar Association panels discussing the representation of criminal aliens facing immigration consequences. In 1976, he was selected to be the lead INS attorney for the DOJ Nazi War Criminal Project. Jim testified before a congressional sub-committee and guided the development of the first deportation proceedings against alleged Nazi war criminals living in the U.S.
Jim takes a particular interest in ensuring that favorable agency discretion is exercised whenever appropriate and in ensuring that foreign nationals receive due process. Mr. Grable is a graduate of Canisius College and the State University of New York at Buffalo Law School.